Progress can be difficult. 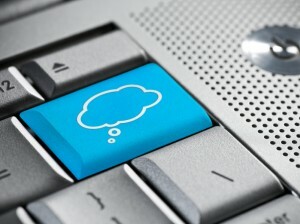 There’s a bit of a clamor for cloud technology at the moment. But it can be difficult to know which system to choose or even what to look for. Do you need a pure storage solution, or should you shift all of your computing online? Is there a file management system that fulfills all of your requirements? As a financial advisor, this can be particularly difficult. Because of the nature of your industry, you have far more security and compliance concerns than the average business. The important thing is to make sure that any system you use fulfills all of your needs. Here’s our list of the top 5 criteria a file management system should fulfill. 1. Access: By storing your documents on the cloud a good file management system should give you access to them anytime, anywhere. You should never have to wait until you get in to check a document, or ask someone to email you a copy of a document you know you have at the office. Cloud computing is readily available these days so everything you need should be online and available, whenever you need it. 2. Order: A good file management system will ensure your documents are stored in an efficient and compliant manner specific to your business. Do you find that sometimes two colleagues will save the same document under two different file names or folders? This tiny issue can cause huge problems when dealing with a regulator, or just finding files. Your file management system should set specific rules for every document type and specific places for them to go. 3. Compliance: The new Consumer Protection Code that was introduced in Ireland this year placed strict controls on how brokers manage their files. It also introduced very severe consequences for brokers who aren’t in compliance. It’s vital that your file management system can prove the integrity of your documents and stores them in line with EU regulations. 4. Security: Storing your documents online in an encrypted, password protected environment, means they’re accessible for you but also secure. Brokerprove stores your documents in encrypted files with the highest level of protection from online attack. If you back up your data to a physical drive it is at risk of theft loss or damage. The cloud holds none of these risks and because your files are encrypted, even if they were accessed no one would be able to read them without using your secure password. 5. Storage: Cloud technology can give you back the freedom of your office. Because there is near limitless storage space available in the cloud, you don’t have to watch files pile up in the office. All you need is one small device and through it you can access all of your documents, including scanned copies of documents currently held on paper. A good file storage system should mean no outside storage costs and let you throw away the creaky old filing cabinets.